In the frame of his biophysical activity, F. Mantegazza developed a Magnetic Tweezers system for the study of DNA nanomechanics. By using these techniques F. Mantegazza studied the activity of antitumor drugs, which exert their activity by strongly binding on the DNA molecules. Such results were confirmed by AFM and single molecule fluorescence experiments. Furthermore by using Magnetic Tweezers techniques, F. Mantegazza analysed the onset of DNA instability under specific external applied force and imposed twist values, which was revealed by an increase in the temporal fluctuations in the DNA extension. These fluctuations occur in the presence of a continuous interval of equilibrium states, ranging from a plectonemic state to a state characterized by denaturation bubbles. 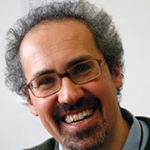 F. Mantegazza also developed combined light scattering, fluorescence and AFM techniques for the study of the aggregation behavior of Abeta peptides and liposomes. F. Mantegazza is author of more then 70 scientific international publications with referee. 1. A. Ghetta, D. Prosperi, F. Mantegazza, L. Panza, S. Riva, T. Bellini, “Light scattered by model phantom bacteria reveals molecular interactions at their surface”Proceedings of the National Academy of Sciences of the United States of America. 102, 15866-15870, (2005).